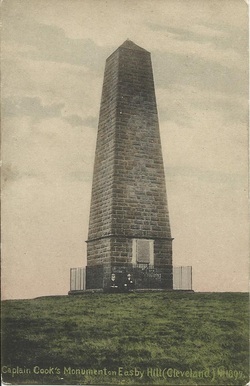 The 50 feet high obelisk was erected in 1827 by Robert Campion of Whitby to commemorate Captain Cook. It was restored in 1895 by subscriptions from the readers of the North Eastern Daily Gazette. 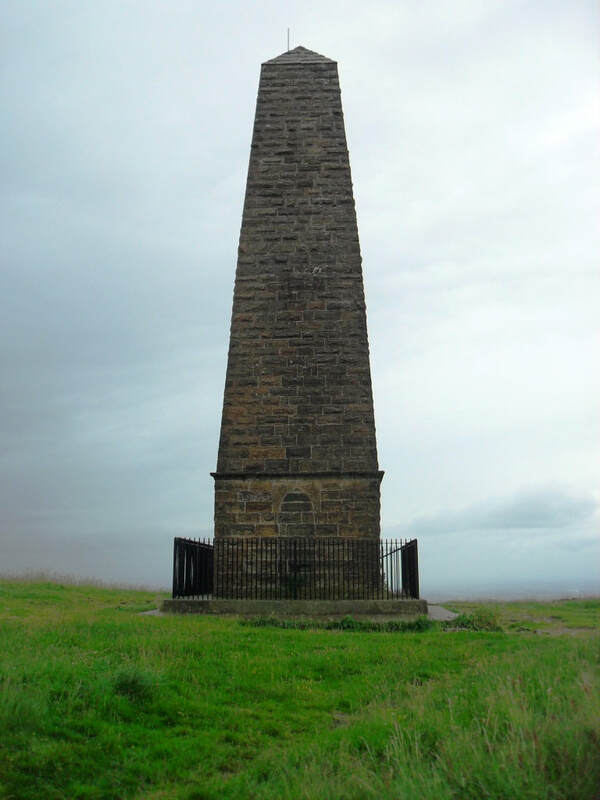 Captain James Cook was born in Marton-in-Cleveland in 1728 and went to Great Ayton when he was eight years old. The cottage where the Cook family lived was taken down in 1934 and re-erected in Fitzroy Gardens, Melbourne, Australia. 'Lieutenant James Cook RN of the Endeavour, first sighted Australia at this point which he named Point Hicks after Lieutenant Zachary Hicks who first saw the land on April 19th ship's log date, April 20th calendar date, 1770'. 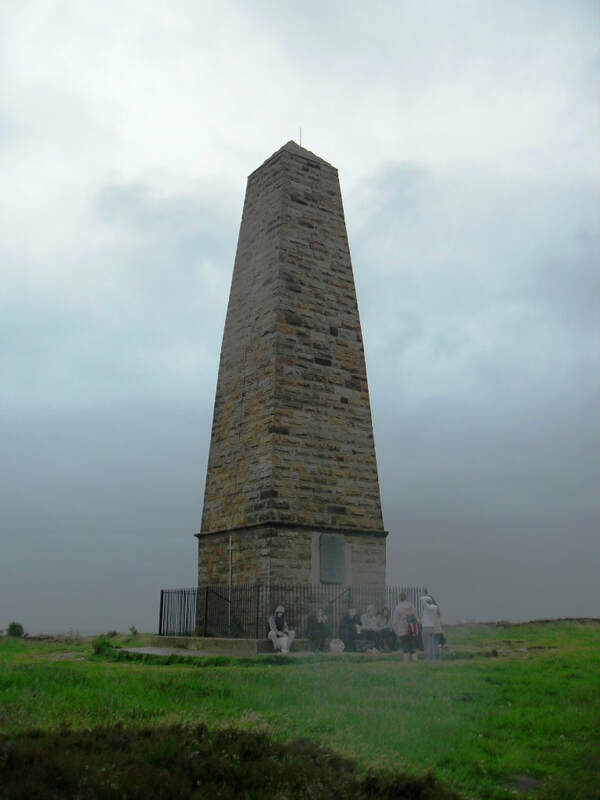 'This monument is made of stones hew from the rocks of Cafe Everard close to point Hicks, Victoria, and is a facsimile of the Memorial erected there. It here marks the site of Captain Cook's cottage, removed to Melbourne in Victoria's centenary YEAR, 1934. When Captain Cook was overseas he corresponded with Commodore Wilson.